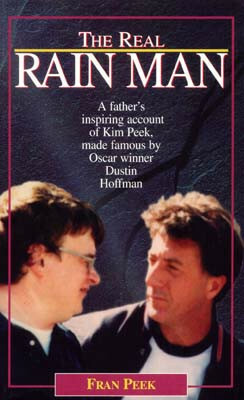 Fran Peek was the father of the late Kim Peek, the individual who was the inspiration for the character of Raymond Babbitt portrayed by Dustin Hoffmann in the Academy Award-winning film, Rain Main. 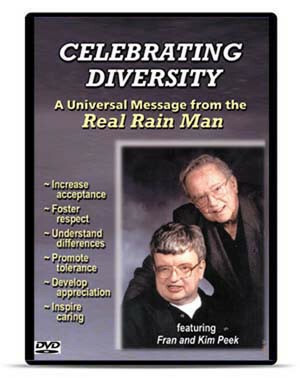 He wrote two books about his son and appears alongside Kim in Celebrating Diversity: A Universal Lesson From the Real Rain Man, a video highlighting the inspirational public presentations Kim made in his later years, encouraging audiences to celebrate diversity and treat one another with respect. Fran passed away in early 2014, five years after the death of his son Kim. Fran was a successful advertising executive before giving up his career to become fulltime caretaker for his then 30-year-old son. He and Kim’s mother had refused doctors’ recommendations to institutionalize Kim, who was diagnosed as mentally retarded as a young child. 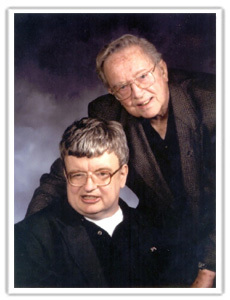 After the astounding success of the movie Rain Man, Fran decided to take the advice of screenwriter Barry Morrow, who had urged Fran to “share Kim with the world.” Prior to the film, Kim had lived a relatively sheltered life, but he and his father agreed that the best way to spread their message of acceptance was through directly speaking to and interacting with other individuals and groups. The pair began speaking to groups both large and small, at schools, professional conferences, non-profit/advocacy organizations, retirement homes, and the like. Kim became a celebrity in many circles because of his gentle soul and remarkable memory. For nearly thirty years, Fran and Kim traveled throughout the country and across the world, meeting with millions of people, covering almost three million miles, and raising millions of dollars for charity (Fran never accepted money for appearances). 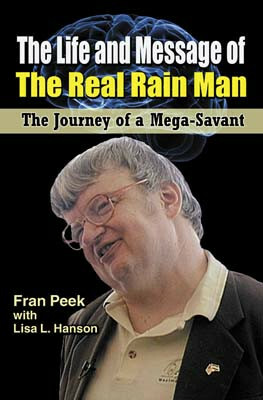 During this time Fran wrote the books The Real Rain Man and The Life and Message of the Real Rain Man: The Journey of a Mega-Savant, the latter published by National Professional Resources. 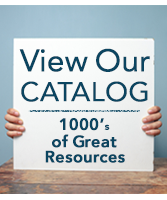 Fran and Kim are also featured in the National Professional Resources video, Celebrating Diversity: A Universal Message from the Real Rain Man. Fran rests next to his son Kim in their native Utah. He had Kim's tombstone inscribed with the words Kim used to end his appearances: “Learn to recognize differences in others and treat them like you would want them to treat you. It will make this a better world to live in. Care and share and do your best. You don't have to be handicapped to be different—everybody is.”.